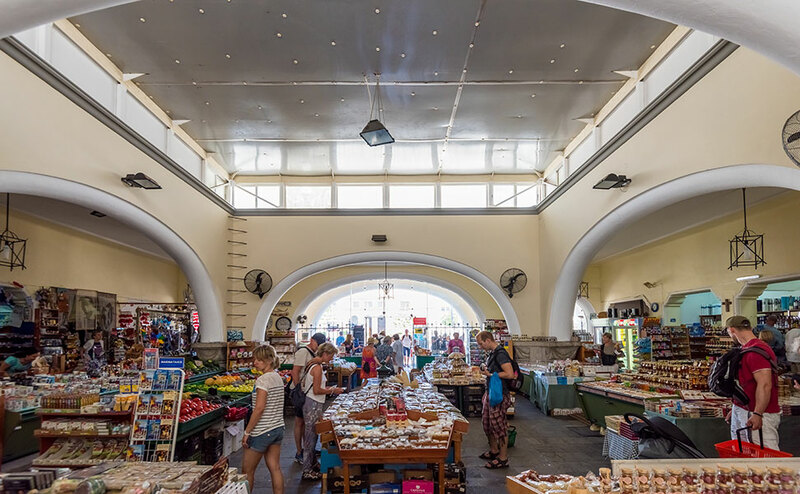 Kos Municipal Market (Μercato delle Erbe) was designed by architect Florestano Di Fausto in 1933 and was completed by architect Rodolfo Petracco in 1934. The impressive Italian building is situated in Eleftherias Square, the central square of the island, among other historic buildings, two Italian ones, the Aigli Complex and the Archaeological Museum and an Ottoman one, Mosque Defterdar. 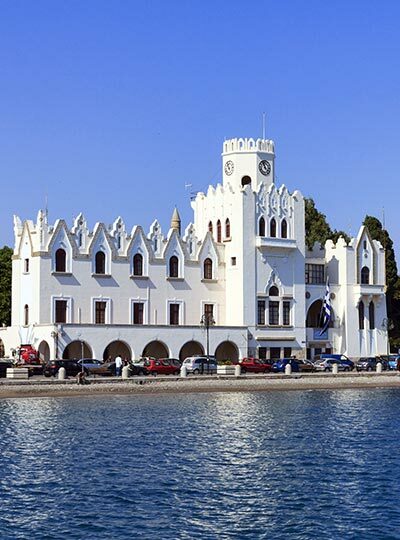 It has been characterised as a work of art and listed historic monument as it constitutes an important building for the study of local architectural history. 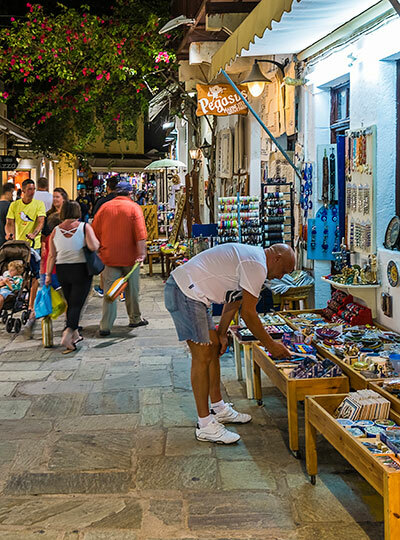 Kos Municipal Market with its arcades is a jewel for the city of Kos. Arcs, arches, as well as the impressive atrium in the middle of the market, make the building stand out. 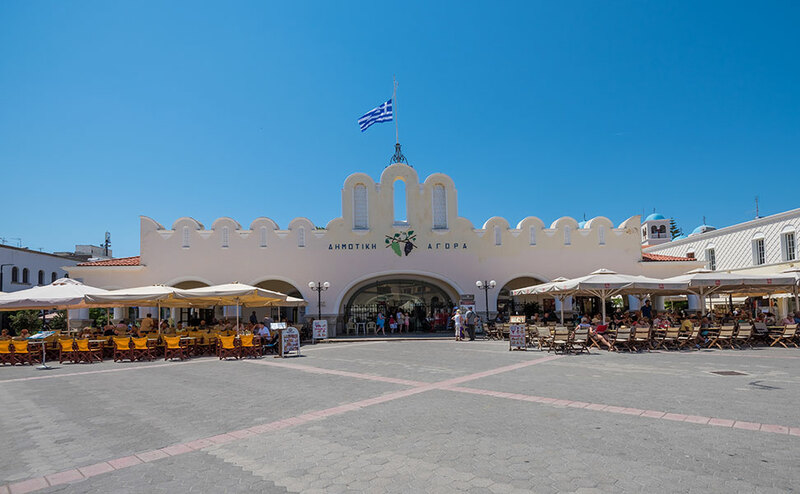 In indoor market hall (agora) you can find a huge variety of local products there, for example, traditional tomato spoon sweet, honey, olive oil and kanelada (cinnamon drink), the famous “krasotiri” (goat cheese aged in red wine), local wines, fresh fruit and vegetables, ouzo, but the really irresistible aromas come from spices, flavourings and herbs. 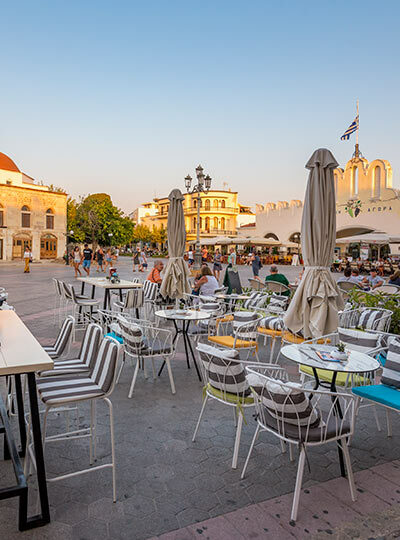 Apart from pleasing your palate, you can buy all kinds of gifts and souvenirs from magnets and sponges to Greek heroes’ helmets and miniatures.